Allyson Gunsallus is a licensed attorney working in contract management. She has always been interested in human rights law and helped grow the Human Rights Law Society as a Duke Law student from 2009 to 2012. 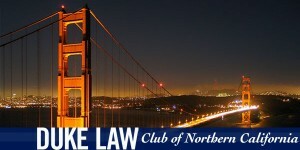 After graduating from law school and becoming a board member of the Duke Law Club of Northern California, she decided it was time to get her club involved in pro-bono work. She contacted IANGEL, and was put in touch with Gayle Zilber, an attorney working for the Alliance for International Women’s Rights (AIWR) as their Mentor Program Director. The Alliance for International Women’s Rights (AIWR), one of IANGEL’s partner organizations, is a non-profit organization with a mission of supporting women leaders and future women leaders in developing countries, with a current focus on Afghanistan. Ms. Zilber, Prof. Abdul Mahir Hazim – one of AIWR’s former mentees, and Ms. Gunsallus worked collaboratively to design a 1/2 –day workshop to discuss the Afghanistan Constitution and develop tutoring materials for AIWR’s Mentor program, which provides mentorship for women lawyers and law professors in Afghanistan. 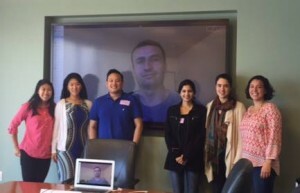 The workshop was graciously hosted by Wilson Sonsini Goodrisch & Rosati (San Francisco) on November 14th, 2015. Duke Law School’s Office of Public Interest and Pro Bono website states, “We are committed to providing students with experiential learning opportunities that not only contribute to their professional development, but also stress the value of service.” Similarly, through Allyson’s leadership and creativity, the Duke Law Club of Northern California now not only provides its members with meaningful alumni connections and professional development activities, but also with the opportunity to engage in impactful pro bono gender equality work through IANGEL. Allyson has also volunteered her time with IANGEL by soliciting auction items for the 2016 Gala Dinner and Silent Auction.